Hawaii Mom Blog: Cupcake Swap! Fun Activity with Kids. 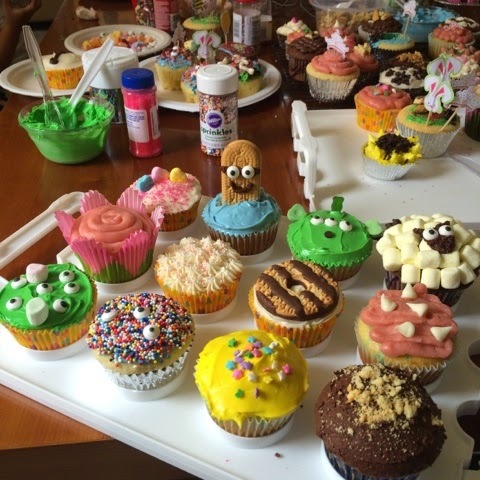 Cupcake Swap! Fun Activity with Kids. 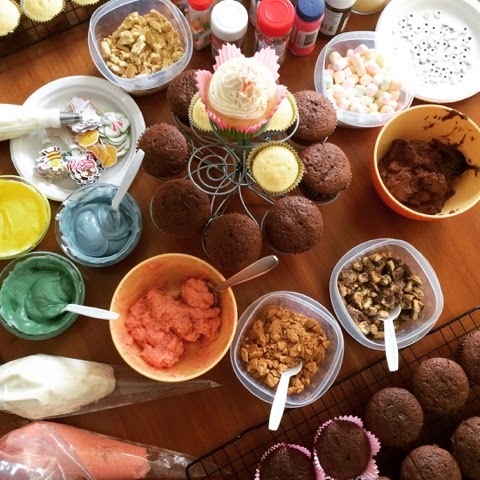 One of my girlfriends loves to bake as much as I do and so when she saw a picture of my decorated cupcakes, it inspired her to host a cupcake swap! 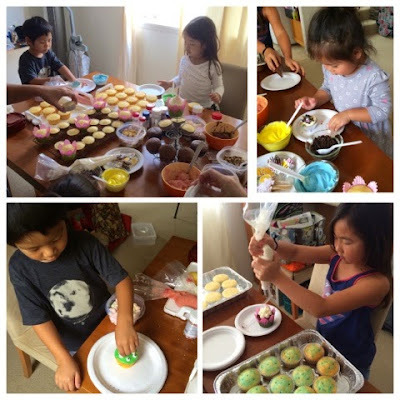 Each family brought unfrosted cupcakes, sprinkles, frosting, candies, cookies, and any other topping imaginable. Anything goes, but the deal was we each had to be prepared to take home cupcakes. Not a problem. The kids and the adults had a great time using their imaginations to come up with some awesome creations. Googly eyes and sprinkles were especially popular with my little one. My son and I had so much fun together decorating our dozen. It was a great activity to motivate creativity and very fun with friends. Can't wait for the next one!